Facelift | Los Angeles | J. Brian Boyd, M.D. As we age, the tissues in our faces weaken and lose elasticity: we become prone to developing fine lines, wrinkles, folds and sagging. Visible signs of aging can make us appear older than we really are and certainly older than we feel. Other environmental factors such as sun exposure, smoking, and pollution can accelerate this process. Facelift surgery is designed to reverse the signs of aging in the cheeks, jowls, and neck by restoring a firmer, smoother, more youthful facial contour. 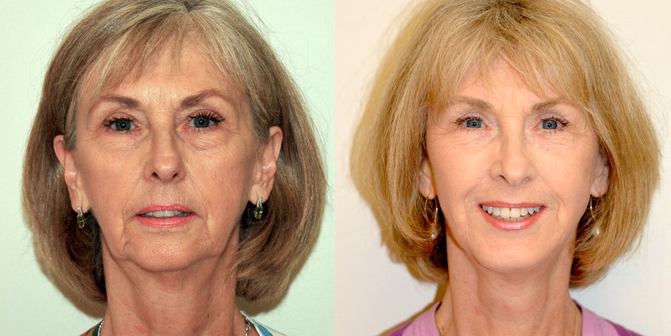 Schedule a Facelift consultation with Dr. J. Brian Boyd in South Bay. Facelift surgery only treats the lower portion of the face. Many patients have noticeable aging not only there but also around their eyes and forehead (brow). For comprehensive facial rejuvenation, you may want to consider combining your facelift with blepharoplasty (eyelid surgery) and/or an endoscopic brow lift. Dr. Boyd commonly combines these procedures to achieve stunning overall results. What type of anesthesia is used during facelift surgery? Full SMAS facelifts are usually performed with the patient asleep, while MACS lifts are more often carried out under local anesthesia using sedation. However, multiple procedures or personal request may necessitate the use of general anesthesia. How will I feel following my facelift? It is common to experience bruising, swelling, and redness following a facelift. Your face may temporarily feel tight and/or numb, some patients experiencing mild discomfort, which can be controlled using pain medication. You will be required to rest with your head elevated for one week following your surgery to minimize swelling. You will need to limit your physical activities for up to four weeks following your procedure. Most patients return to work within two weeks. After six weeks, the majority of the swelling will have subsided and your final results will be evident. How does a traditional facelift differ from a mini facelift? Some doctors advertise procedures such as mini facelifts, or weekend facelifts, which are supposed to provide you with the results of a facelift without the extensive recovery period. However, these procedures rarely have long-term benefits and often leave visible scarring. Mini facelifts are for mini surgeons. Will I have any visible scarring following my procedure? Dr. Boyd’s expert skill and technique allow him to make fine incisions. Most of the resulting scar is hidden within the hairline or masked by its placement in a junctional area. However, each patient heals differently, and there is a possibility that some visible scarring may develop, although it is likely to fade over time. How can I maintain the results of my facelift? 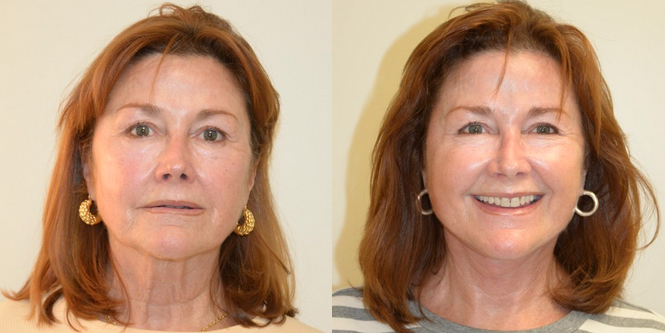 Facelift surgery provides patients with results lasting for years. However, lifestyle plays an important role in determining the longevity of your results. Patients should avoid direct exposure to sunlight and quit smoking. Most undergo routine non-surgical ‘maintenance’ treatments such as fat grafting, facial fillers, BOTOX® Cosmetic, and skin peeling to maintain their youthful results.